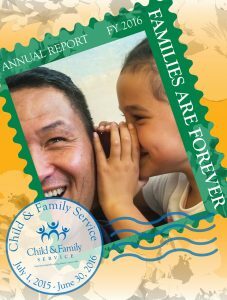 Stay tuned for our FY18/FY19 Combined Annual Report Summer of 2019. FY 2018 Audited Financials will be posted on this site by April 15, 2019. For more information, contact the CFS Communications Office at 808.543.8413 or development@cfs-hawaii.org. For the FY2017 Financials (July 1, 2016 – June 30, 2017), click here.